The Ashley Furniture store where Perez worked. A New Jersey outlet of America’s largest furniture manufacturing companies has been slapped with a lawsuit from a lesbian former employee who says she was fired because she’s gay. 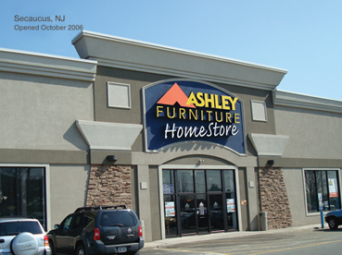 Isabel Perez is suing the Ashley Furniture HomeStore in Secaucus, N.J., along with the shop’s CEO Eugene Chrinian and director of people services and development Kathy Martin. Posted January 24th, 2013 & filed under News.